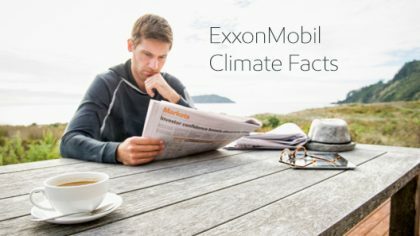 A coordinated attack on ExxonMobil has taken place in recent days through the publication of a number of news reports that offer an eye-opening look at a campaign of misinformation about ExxonMobil’s history of climate research. That campaign has led directly to investigations by New York State Attorney General Eric Schneiderman and like-minded officials in other jurisdictions. The stories unfolding over the past week have been reported by The Wall Street Journal, Fox News,U.S. News & World Report, the Washington Free Beacon, Reuters, Energy in Depth, National Review, and others. They tell a tale that is disturbing in what it says about journalism, the law, and our nation’s discussions on the most important public policy issues. One particularly troubling item that was publicly exposed in recent days provides evidence of a secret meeting in January of environmental activists and plaintiff’s attorneys to coordinate strategy for an assault on ExxonMobil’s reputation. In taking aim at our corporation, these activists and trial lawyers are attacking nearly 75,000 dedicated men and women who work to provide the sources of energy that are vital to a functioning economy. And they are taking aim at the millions of shareholders who own ExxonMobil stock. Ultimately, however, the effort to demonize ExxonMobil distracts from what is truly important – providing the energy supplies to power the future while coming up with technological solutions that address the risks posed by climate change. There’s a meaningful dialogue to be had on climate change, one that focuses on collaborative actions and the search for solutions. We have been in that conversation for several decades. Our critics, on the other hand, want no part of that discussion. Rather, they seek to stifle free speech and limit scientific inquiry while painting a false picture of ExxonMobil. If they were truly interested in finding realistic answers to the dual challenge of providing energy needed for modern life and protecting the environment, they would welcome debate and open discussion. They would not be trying to exclude and silence the innovation, creativity, and brilliant ideas that thousands of scientists at ExxonMobil and other energy companies have to offer.